Meet Our Group of Serious Service Minded Account Managers! First, we would like to thank our loyal customers for continuing down this ever evolving road of software tools for the oil and gas industry. We wish you all a healthy and prosperous 2019! To start the New Year out right we wanted to be more customer focused. This has led us to assign dedicated account managers to each one of our customers. To make sure you know about our dedicated Account Management Team we have created this blog post. You can depend on your account manager for feature requests, feedback on what you like or don't like, additional license needs, pricing, billing and renewal questions on our Pressure Vessel Design Calculation, Welding Procedure Document Management, and Welder Qualification/Continuity services. Remember this, we are here for you! Our goal is to ensure you are supported throughout the year instead of only when its time to renew. Our partnership with you is greatly valued and we strive to make sure you feel the same way! This year we will be not only be reaching out more frequently to make sure all is going well with your software but to also to let you in on the new codes and features we are releasing! For instance API 1104, ASME Sec IX Plastic, AWS D1.2, AWS D1.3, AWS D1.4, AWS D1.5 Bridge, AWS D1.6, AWS D1.9, AWS D14.1, AWS D14.6, AWS D14.7, AWS D15.1, AWS D15.2, AWS D17.1 Aerospace, NAVSEA and more! If you would like for us to consider a code not mentioned please do so by contacting us! Lisa has been with CEI since April of 2018. After many years working for an engineering firm and managing a division of an oil & gas rental company in the Permian Basin, she has found her dream job working at CEI combining her knowledge from both industries. Lisa’s passion is animal welfare and spends her free time volunteering at a rescue organization and a local shelter where her and her husband foster and transport dogs. She is an avid Chiefs fan and also loves spending time at the Lake of the Ozarks boating, fishing or riding ATVs. Tammy has been with CEI since July of 2001. 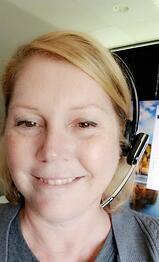 She has gone through many job functions over the years but has found sales to be her preferred calling. She enjoys fishing and spending time with her grandchildren, so fishing with her grandchildren is her ideal day off. Her favorite thing about working for CEI is the connections she has made over the years. Besides discussing how’s the hunting, fishing or weather in your neck of the woods, talking about family pets, children and grandchildren are always fun and memorable! 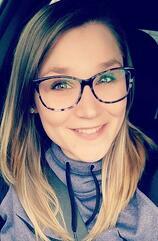 Brooke has been with CEI since April of 2018. After many years completing billing for a variety of industries, she has found her career at CEI. Brooke’s forte is working directly with customers, providing personal service and determining the best options for their needs. Brooke has recently had her 2nd child, and will be celebrating her 5th wedding anniversary with her husband Chris. She spends her off time with family, walking trails, attending car shows, watching movies and eating out. Michael is new to CEI but brings over 15 years’ experience in Account management, business development, B2B sales and service. As an award-winning, high energy, driven sales leader, it is Michael's desire to provide a “Red Carpet” experience for his client’s business needs. In his free time, he enjoys giving back to the community specifically with the Big Brothers Big Sisters foundation, volunteering as a mentor. 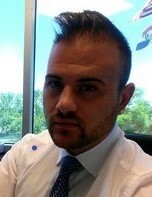 His hobbies include, the gym, traveling, outdoor sports, his cat Lucky and spending time with friends and family. 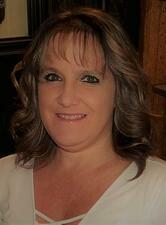 Amanda is an award winning Sales/Account Manager and brings more than 20 years of experience to CEI. Amanda has a true passion for providing the best customer experience by working with her clients to provide tangible solutions and solve real problems. Personal life: Mother of two sons, Wife of 25 years and a bit of of a dare-devil. She enjoys spending time outdoors: hiking, biking, riding ATV's, white water rafting, DIY projects; and finds the most joy learning new things and a having her house loud with laughter, chatter and chaos of family and friends. As always we encourage calls and/or emails with feedback or questions about the software, capabilities or whatever is on your mind! We can't understand what drives satisfied customers without your input! We are here for you as you have been for us throughout the years so once again we want to say, thank you! What’s in Your Library for Pressure Vessel Design?